This isn’t to say, Mr. Ford, you didn’t build that. It’s to say you built it in large part because you built a good team and worked well within it. Naddaff says the best teams are “courageous observers of themselves,” relentlessly weighing strengths and weaknesses. “The self-awareness piece is huge,” she says. Among pitfalls, she cites jumping into a work team without a clear idea of goals or a time frame and plowing ahead when a course correction is clearly needed. Her nominee for the perfect work team is L.L. Bean’s leadership under CEO Leon Gorman because “they so believed in the brand,” she says. Gorman, who died at 80 in 2015, was the grandson of the company’s founder, but he was no caretaker. There was one troubled retail store and 100 employees when Gorman took over in 1967; credited with pushing his ultra-loyal team into “customer-first” policies and online selling, the soft-spoken executive left a multichannel empire with 5,200 employees and $1.5 billion in annual sales. Further team insights come from a 2015 study by the Massachusetts Institute of Technology, Carnegie Mellon University in Pittsburgh and Union College in Schenectady, N.Y. Professors grouped 697 volunteers into teams of two to five members to study efficiency. Their research concluded that the most effective groupings were those that shared three characteristics: Members contributed equally to discussions, without one or two people dominating; they scored well on the Reading the Mind in the Eyes test, which measures how well people discern complex mental states from eyes alone; and teams with a majority of women did better than those with a majority of men. (Note the absence of extroversion and intellect among the trump factors.) So when you build your next team, you might want to keep those characteristics in mind. They certainly paid off for the following teams. When Philip Krim and four friends—Neil Parikh, T. Luke Sherwin, Gabriel Flateman and Jeff Chapin—got together in their Manhattan co-working space in early 2013, they were battle-scarred from startups that didn’t quite jell. They wanted to find a product with a traditional model they could disrupt the way that Uber transformed the taxi business or Craigslist took classified ads online. They explored mattresses because Krim had sold mail-order bedding out of his dorm room at the University of Texas a decade before. That business, the Merrick Group, reached $10 million in annual sales before Krim turned to other pursuits. The group agreed that the mattress idea still had bounce. “Sure, a lot of people were forming tech companies, but a lot of other people were trying to get healthier,” Parikh says, “and not much was being done on how to improve sleep. Also, buying a mattress was a terrible experience, being harassed by people working on commission can be like buying a used car. 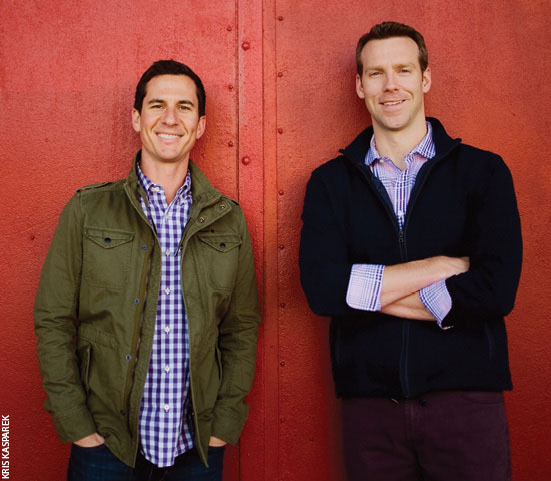 We decided a brand that had helping people sleep better at its core would succeed.” That led them to start Casper, a mattress firm that eased customer pain points on shopping, delivery and sleep comfort. All five were New Yorkers—two of them roommates—so the team knew about the problem of manhandling mattresses up the stairs in fifth-floor walkups. And that led to a breakthrough idea they all endorsed: a boxed, compressed mattress that could be easily carried up steps, around corners and through doorways. Shipped in a 41-by-21-by-20-inch box, the mattresses come in six sizes weighing 44 to 91 pounds and can fit in the trunk of a cab. It took a while to figure out how to fit big mattresses into small spaces, but the team did its homework. When suppliers were lined up and the product launched, the reaction was immediate. “We generated $1 million in revenue in our first 28 days, blowing past all our expectations and projections,” Krim says. Casper made its first-year revenue estimate in the first month. The quandary for Ford and Chevrolet: how to update and improve automotive icons—the F-150 pickup truck and the hybrid Volt, respectively—without eroding the qualities that made them popular. Ford was poised to take a huge gamble. 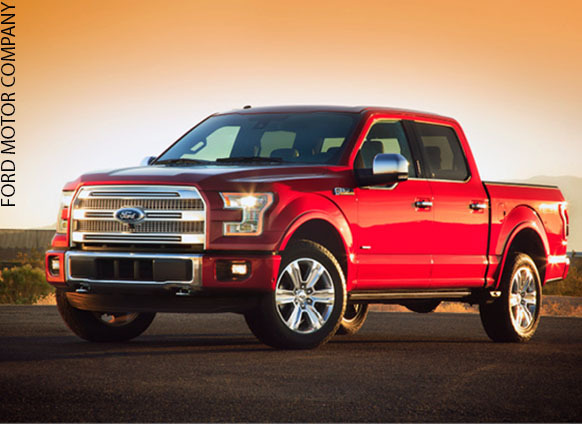 Its F-150 pickup truck is the best-selling vehicle in the country and has been for more than 30 years. But Ford wanted better fuel efficiency for 2015, which meant introducing economical six-cylinder EcoBoost engines and—far more radical—using an all-aluminum body. Would consumers accept the change? The F-150 team began planning a year and a half before the program kickoff, asking, “What is the marketplace going to say to a truck with a body made of high-strength aluminum?” Trucks are available in a bewildering number of versions, and all had to be shaped to take advantage of the coming weight savings. The 1,000-member team encountered unique problems, such as the fact that the world’s existing supply of high-strength, auto-grade aluminum wasn’t enough to cover the F-150’s volume. “We had to build that supply,” Reyes says. The switch to aluminum was central to the truck’s 700-pound weight loss, but the team’s other innovations contributed considerably: 70 pounds came out of the steel frame, 23 pounds out of the steering knuckles, 26.9 out of the mechanical emergency brake, 31.7 from the front seats and 2.7 pounds from the front bumper structure. Fuel economy increased as much as 29 percent, depending on model. And the marketplace reaction? In October 2015, Ford announced third-quarter earnings of $1.9 billion, up $1.1 billion, from 2014 largely on strong sales of the new F-150. 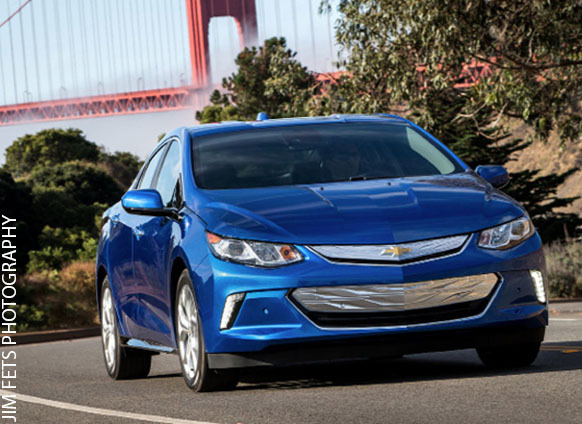 Chevrolet’s challenge, meanwhile, was to build a second-generation Volt plug-in hybrid car, satisfying consumers’ requests for more electric range and better interior space without ditching the vehicle’s user-friendly profile. GM needed a team of more than 500 (a company spokeswoman said the number was difficult to pin down)—about half the size of Ford’s—working to update the Volt, which isn’t the sales juggernaut of the F-150. The Volt team’s mantra evolved in ambition, first being “Gen 1 or better” and then becoming “Gen 2, better in every way.” The car now has 50-plus miles of electric-only range, a lighter battery pack that nonetheless stores 20 percent more energy, and better-communicating electric motors that deliver 20 percent better low-speed acceleration. And the back seat can hold three people, not just two. Remember the study mentioned earlier that indicated women’s pivotal roles in team successes? Women called the shots on the Volt’s initial design and led the redesign team, too. Farah’s boss, Pam Fletcher, is the executive chief engineer for electric vehicles, and, of course, Mary Barra is GM’s CEO. The makeover also benefited from the fresh thinking of new recruits: smart young engineers who had just competed in college contests such as the EcoCAR and Challenge X. In these years-long competitions co-sponsored by automakers, passionate students often stay up all night with pizza and laptops to finish building electric and fuel-cell cars. In one year, GM hired 55 Challenge X graduates, mostly to work on the electric and hybrid cars that the recruits were already passionate about. Incidentally, the redesigned F-150 and Volt were named the green truck and green car of the year at the Los Angeles and San Antonio auto shows in late November. Utter Nonsense started as a made-up game that two Chicago friends—Tim Swindle, a director at a software startup, and Dave Mazurek, a commercial real estate developer—invented to play at parties. The rules were simple. Using two decks of handmade cards, players selected a foreign accent and a ridiculous phrase to try and say in that accent. The funniest attempt was anointed by the Nonsense Judge, and that player won the round. Finally, Utter Nonsense was ready to go. It raised $16,000 on Kickstarter in summer 2014, and that funded the first production run of 5,000 games. With that, the company hit the Chicago Toy & Game Fair in November to look for buyers. Orders trickled in from places like Marbles: the Brain Store. And—unheard-of in the game business—the partners landed a big Target contract two months later, spurring a 50,000-game second production run. By Aug. 31, 2015, Utter Nonsense was in 1,800 Target stores. Mathew Brown went to college for engineering and then co-founded a small hardware engineering firm with four partners in his native Ottawa, Canada. Brown thought he’d be an engineer forever, but life had other plans. Brown had worked for a company that had a printing business. “It was kind of random,” he says, “but the five of us started talking about making signs, and we got this crazy idea to give away as many of them as we could” to win attention and generate interest as an initial marketing tactic. Initially the partners pretended they knew how custom printing worked and faked the language of the business. It took three or four months before they were really confident. 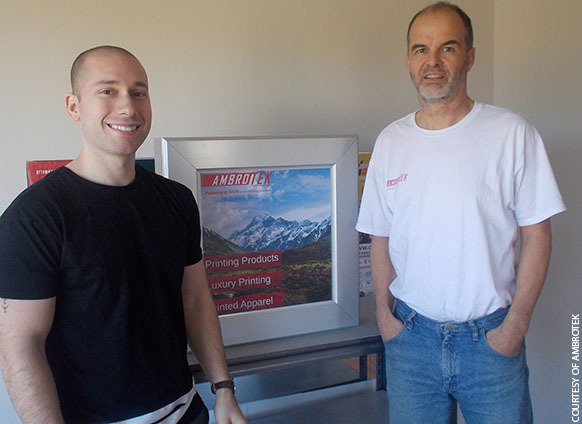 Three of the five original partners are still working at what is now Ambrotek Printing, making signs, custom-printed clothes, LED digital displays and more. The business, built on word-of-mouth, is overwhelmed with work and looking to expand. “Once you reinvent yourself, you really feel there are no boundaries. There’s no longer anything holding you down,” Brown says. Washington, D.C.’s Design Army is a small creative marketing agency that uses video and a unique visual sensibility to take clients places they’d never thought they’d go. At the center of Design Army are Jake and Pum Lefebure, married in life and work. Jake is the logistics guy, setting up photo shoots and drumming up new business, and Pum is the creative. They finish each other’s sentences. Clients are wowed by the totally fresh approach of the Lefebures’ work. The short film they created for family-owned Georgetown (D.C.) Optician was posted on Vimeo and went viral. Hardly a nuts-and-bolts product ad, it’s an avant-garde visual treat with the fantastic pastel palette of a filmmaker like Wes Anderson (especially in his Moonrise Kingdom and Grand Budapest Hotel period). In their telling, the Georgetown Optician family lives in a mansion decorated with eye charts. The kids amuse themselves performing eye exams and trick or treat as giant eyeballs. “Essentially, it’s branded content,” Jake says. Let’s make that very high-level branded content, because the shoot for the Georgetown Optician ad—all in one day—was planned down to the minute, with a lot of hands-on work from the 10-person company team. “We made the eyeball heads, for instance, and the eyeball cupcakes,” Pum says. So they pooled knowledge and skills to great success. And isn’t that how teams are supposed to work? This article appears in the March 2016 issue of SUCCESS magazine.